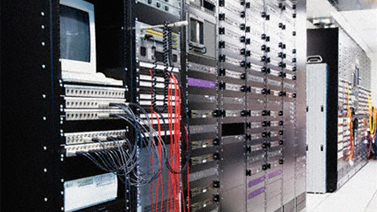 Wellington Teledata designs, installs, maintains, and repairs the cabled and wireless networks for conveying voice, data, and digital video communications required to support a rapidly evolving industry. With certified Registered Communication Distribution Designer (RCDD) engineering capability, Wellington warrants that any system installation will comply with applicable performance standards ensuring outage-free networks. Wellington Teledata has the expertise and resources to provide the premise wiring and advanced fiber systems required to support the increasing demands for computing power, better broadband, and data storage capacity. Wellington's experience in the most current broadband and data technologies, coupled with its inside and outside plant capabilities, provides the company with the opportunity to continue to serve the expanding needs of the financial services, education, and healthcare sectors. UPMC East was designed and constructed to provide world-class medical care to the Monroeville suburb of Pittsburgh. The hospital includes a 300,000 square foot medical services building, a 460 space parking garage and a helipad situated on 16.7 acres. 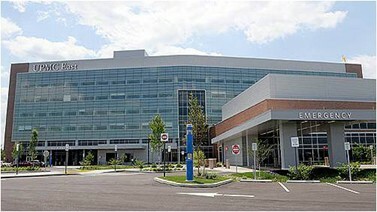 UPMC East followed on the heels of the world renowned Children’s Hospital of Pittsburgh of UPMC, a new state of the art facility dedicated in 2009. Wellington was retained by UPMC as the preferred electrical contractor for the UPMC East Project based on prior performance in delivering the $52,000,000 electrical, automation/control and tele/data contract for the Children’s Hospital project. The relationship continues with additional smaller capital improvement/ upgrade projects at other UPMC medical facilities throughout the medical provider’s service region. The project received LEED silver status.